What are LED Lights and do they save as much Energy as Claimed? Living in a dark home for few hours and it’s like you are in the century where the candles were the light source which made the whole area looked haunted. Fortunately, that era has gone and now we are here where electricity gives the lightning glow to the places. We use different types of bulbs as incandescent and other traditional light sources. Each has a varying system of working. 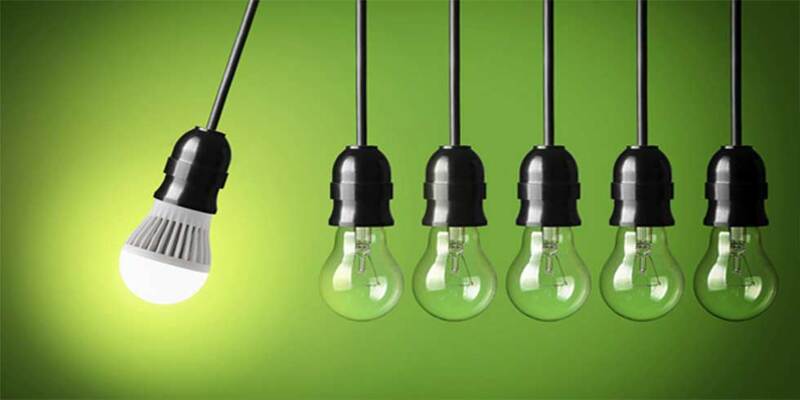 This blog focuses on the LED bulbs and reveals the efficiency of these modernly styled bulbs. LED is an acronym of the light emitting diode. The tiny chip in LED bulbs has many sources that illuminate when electricity passes through the chips and everything in the place gets visible. They are considered as 90% more efficient than the traditional light bulbs. Why are they efficient lighting solution? Unlike the traditional bulbs as incandescent or CFL bulbs, these efficient and lasting LED bulbs do not fail or burn out suddenly but they undergo lumen depreciation which fades it slowly. The fading let you know that there is a need of another bulb and save you from pressing the ‘switch on’ and you get the shock of a failed bulb! Moreover, when we consider the style, LED bulbs win the game again. Smart in sizes the LED can have unique shapes which makes it modish to look. So high efficiency and modern style come together with LED bulbs. These provide a great opportunity to design like a pro and give them the innovative style. Same brightness as incandescent bulbs provides. Use a less energy than CFL. They are energy efficient and tough in working. The lasting of LED bulbs are claimed 20 to 50,000 hours. The cost of a LED bulb is more than the traditional bulbs but the benefits of are great. In the beginning, the high price may seem as bad but when you observe its efficiency, you will feel that they are cost-effective. As despite spending on many bulbs you have to spend on one which has guaranteed to work longer than others. CFL and incandescent lights are giving out the light in all directions which allows the illumination of unwanted spaces. LEDs emit light in a specific direction which spread the light in a particular area as needed. The good heat management operation of the LEDs saves it from burning out. You cannot have to get worried about the sudden failure of the bulb when you have LED light bulbs at your place. Alotechnical is a maintenance service company in Dubai-UAE. The eminent services included plumbing, carpentry, electrician and handyman services that delivered to both residential and commercial domains. For quality services, you can freely contact Alotechnical.